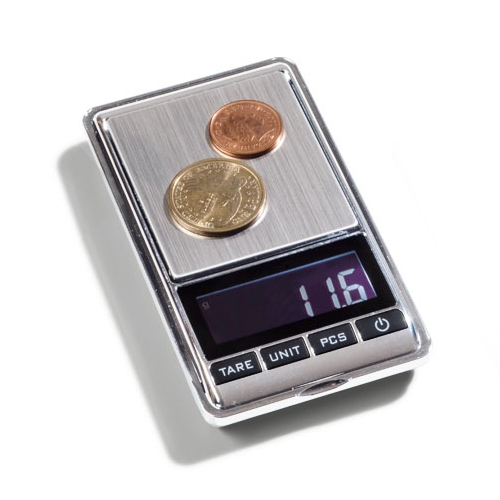 This scale has a weighting range from 0.01 to 100 g with a measuring tolerance of only 0.03 g. The backlight LCD display automaticly shuts off after 60 seconds to preserve the battery. The scale has six different weighing units: g, oz, ozt, dwt, ct, and gn and of course a tare function. The removable protective cap can be used to hold several coins at once. Incl. Battery. Size: 45 x 76 x 13 mm.